While all were eaten and loved, I’d say the overall winner from this batch was the peanut butter ones. Those flew out the window in no time! 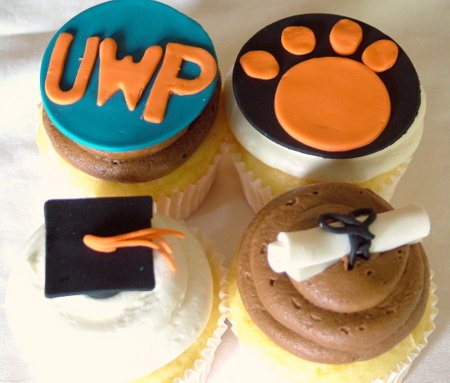 🙂 On the vanilla cupcakes, I made up some fondant decorations to show both his high school and future college. 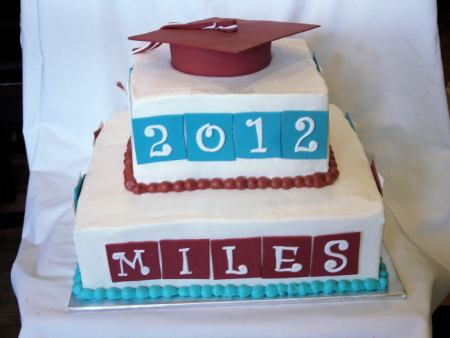 Last week I did a graduation cake for a high school grad. 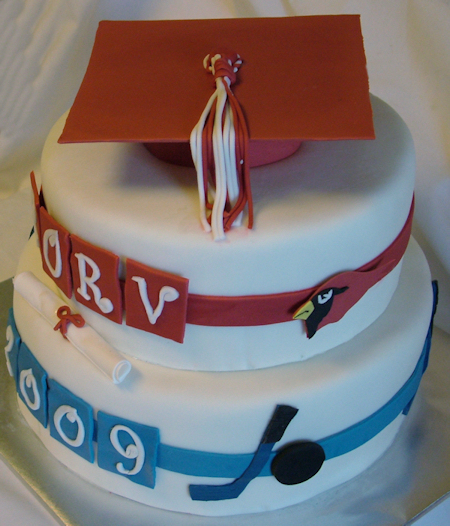 I have done other grad cakes for this family so it was fun to do another! 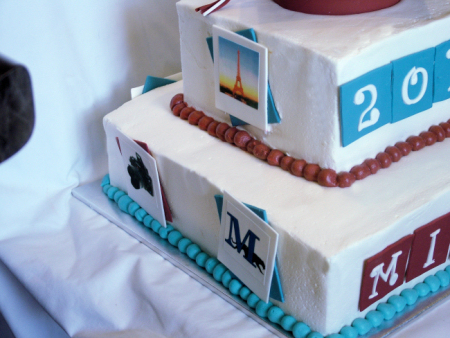 This cake is an 8″ and 12″. 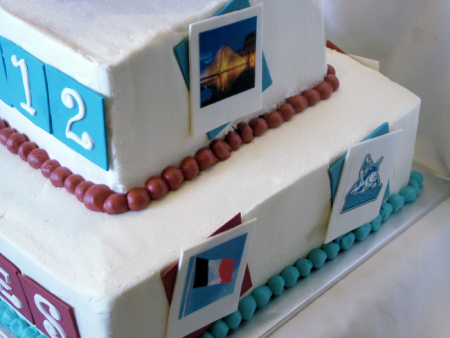 He is into photography so there are “polaroid” snapshots around the cake of his interests. 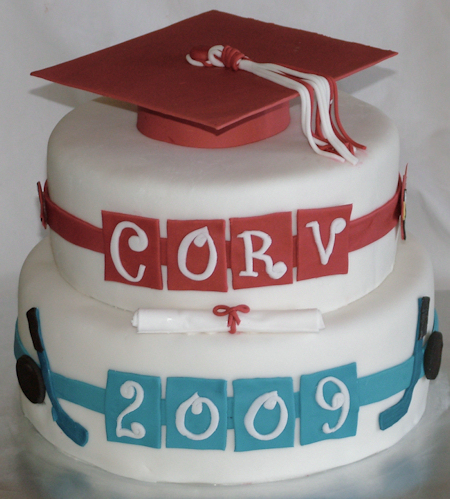 Cake is iced in butter cream with a gumpaste grad cap on top with gumpaste pics (edible images on them). And this year I got to make one for the daughter of a friend who graduated high school this spring. 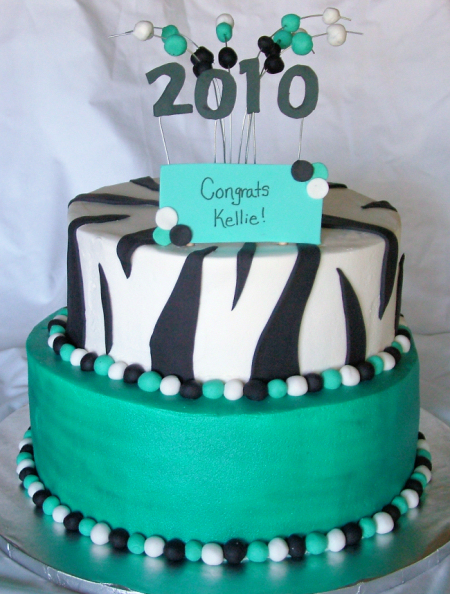 Their request was turquoise and zebra – and “can it be sparkly”? So I got myself an airbrush, played around and ended up spraying the bottom tier a pearly color. Its not as easy to tell in the pic but boy in the sun it sparkled! This cake was a labor of love for my mom and my little sister, Kelsey. My mom graduated in May with her Master’s degree and my sister graduated from high school in June. So proud of both of them! 🙂 Their party was this weekend and I had seen a cake done in this structure last year some time. I loved how fun it looked so I sweet talked my older sister into helping me and we planned out the design last week. Then spent over 4 hrs decorating it together. 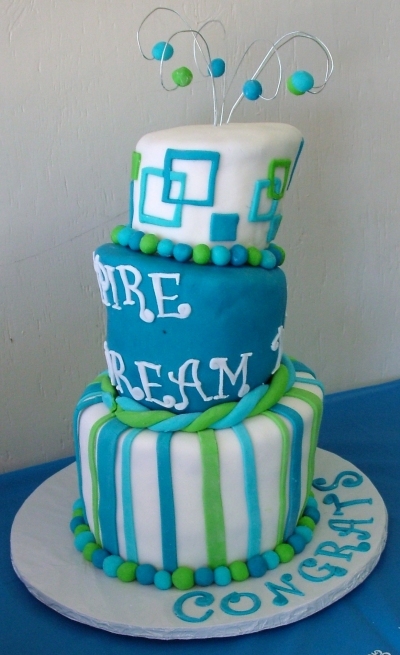 The top two tiers on this cake are fake cake because they didn’t need quite that much cake for the party – however this type of cake can be done with all real cake. Its all a matter of physics people 🙂 All of the tiers are 8″ squares, covered in fondant. 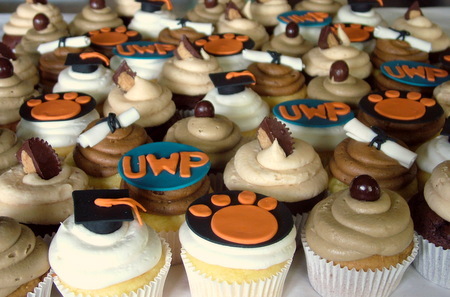 Today we celebrated the college graduation of my cousin (in law 😀 ) Nick. 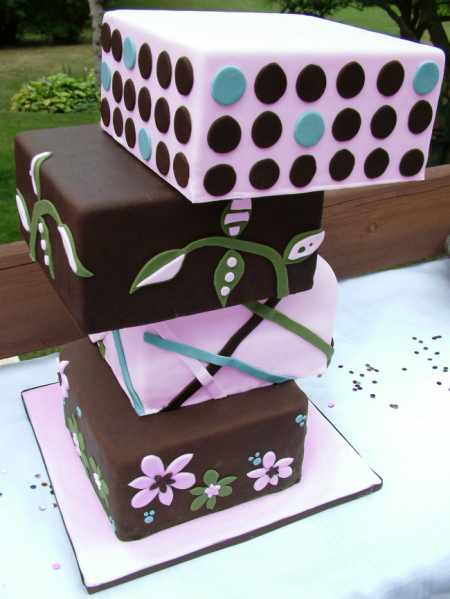 His wife (my cousin) wanted a funky cake and requested a topsy turvy cake based on the invite colors/pattern they used for the party. This was my first topsy turvy and lots of lessons learned. 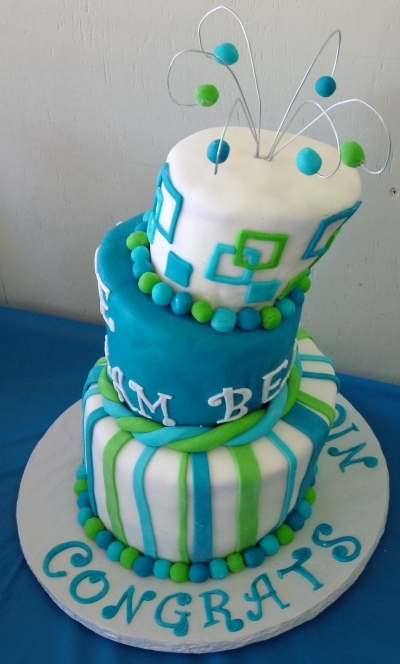 I want to send a big thank you to a fellow cake-buddy, Jeanne from Well Dressed Cakes for the great instructions she gave me to help me pull it off.